The position paper by Israel’s top military assessor stated that the process of change sparked by Rouhani’s victory s “cannot be ignored,” according to Ravid. Netanyahu ignored it. Although Netanyahu received Kochavi’s assessment a few days before he left for the U.S. in late September, the Israeli Prime Minister disregarded it entirely in his speech to the UN on Sept. 30, in which he vilified Rouhani as nothing more than a “wolf in sheep’s clothing” who was no different than his predecessor, Mahmoud Ahmadinejad. In the numerous interviews he gave during and after his visit to New York, Netanyahu complained that all Iranian presidents, whether hardliners or moderate, were all alike, since they served “that same unforgiving creed, that same unforgiving regime,” implicitly calling for regime change in Iran. Even before the Iranian election in June, Kochavi had been much less histrionic than Netanyahu in his evaluation of the threat to Israel posed by Iran. Along with other Israeli top military and intelligence officials, Kochavi has thus far opposed Israel attacking Iran. Assessing Iran’s nuclear program in mid-March, Kochavi stated, “At this time 10,000 centrifuges are at work, mainly in Qom and Natanz, enriching 240 kilos of uranium, which is enough to produce between five and six bombs, should the Iranian leader decide to make them.” Nevertheless, when speaking at a security conference in Herzliya, Israel, Kochavi nonetheless pointed out that Iran was being careful not to cross any “red lines.” This differed sharply from Netanyahu’s accusations that Iran has been actively engaged in developing nuclear weapons, and had crossed numerous red lines. Three months prior to Iran’s presidential election, Kochavi hinted that Israel’s intelligence sources inside Iran were reporting that Iranian strategy was under review. Another top Israeli national security figure whose view diverges from Netanyahu’s hostile response to any diplomatic approach to Iran is Amos Yadlin, a former chief of Israeli defense intelligence and the currently the director of Israel’s Institute for National Security Studies. In the Wall Street Journal on Oct. 15, Yadlin co-authored an op-ed which outlined four types of deals that could emerge from Geneva: ideal; reasonable; bad and phased. 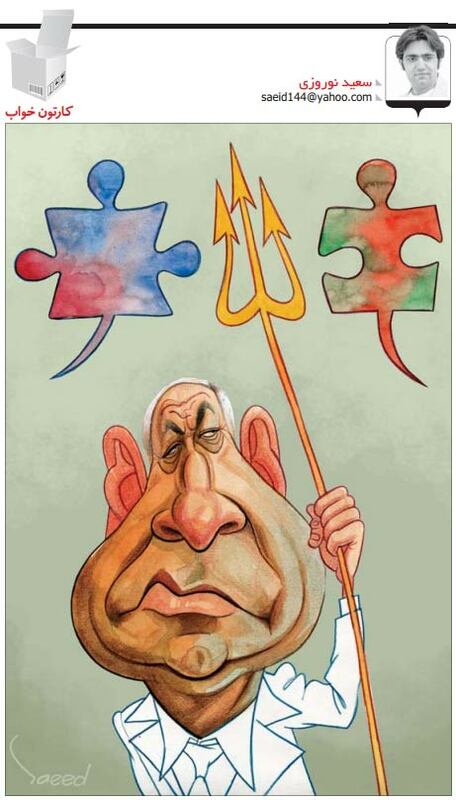 The “ideal” agreement approximates Netanyahu’s most minimal demands: an Iranian commitment to dismantle its nuclear program, beginning with the closure of its enrichment facility at Fordow and its yet-to-be-completed Arak reactor. Furthermore, Iran would be required to “ship out its entire stockpile of enriched uranium, which today is enough to produce five to seven bombs.” All sanctions would then be lifted against Iran. Yadlin also outlines a “less good, but still reasonable, agreement” according to which Iran would retain its right to enrich uranium at a non-military level of 3.5-5%. It would also allow Iran to keep “a small, symbolic number” of centrifuges. Iran would have to re-sign and implement the Additional Protocol, which would enable the IAEA to carry out much more thorough oversight of Iran’s nuclear facilities, including suspected sites. Furthermore, all Iranian nuclear activities would be limited to Natanz; the Arak reactor would be rendered non-functional; and Fordow would be closed. Finally, transformation of enriched uranium to fuel rods would have to be done outside of Iran, just in case the Iranians change their mind about wanting to build a bomb at any time in the future. The basic feeling of that ancient nation is one of humiliation. Both religious Iranians and secular Iranians feel that for 200 years the Western powers used them as their playthings. They do not forget for a moment that the British and the Americans intervened in their internal affairs and toppled the regime of Mohammad Mosaddeq in 1953. From their perspective, the reason why, to this day, there is no modern rail network and no modern oil refineries in Iran is that the West prevented that. Thus, the deep motive behind the Iranian nuclear project − which was launched by the Shah − is not the confrontation with Israel, but the desire to restore to Iran the greatness of which it was long deprived. I believe that if the West could find a way to propose to Iran alternative methods to acquire that sense of greatness, Iran would forsake the nuclear road. If Iran were offered trains and oil refineries and a place of honor in regional trade, it would consider this seriously. A month later, in an interview with al-Monitor‘s Laura Rozen just before the U.S. presidential election, Halevy defended President Obama’s willingness to negotiate with Iran as ” very courageous.” He also criticized Netanyahu for “invoking Auschwitz twice a week.” The interview was published amid rumors that the United States and Iran had agreed to hold direct talks on Iran’s nuclear program after the US presidential elections. Ralph Ahrens of the Times of Israel reports that Doron Avital, a former commander of Israel’s elite reconnaisance unit Sayeret Makhal and more recently member of Israel’s Parliament (Knesset) from the Kadima party, discussed Iran’s nuclear program with a former general from Iran’s Revolutionary Guards at a a recent academic conference held at a French chateau. Avital implied that his attendance at the conference had been with the knowledge and tacit approval of Israel’s Ministry of Defense. “I have friends in the political and defense establishments and of course I updated them before leaving and after returning.” The Defense Ministry declined to confirm any knowledge-or interest-in Avital’s attendance at the event. Another Times of Israel article by Lazar Berman on Oct. 31 reported that senior Israeli officials were said to have met “with representatives from an array of regional states - including Iran - and other major powers” in Switzerland. The topic of the meeting was the convening an international conference on making the Middle East a region free of weapons of mass destruction.” Israel’s Foreign Ministry refused to comment on the report. Taken together, these under-publicized reports indicate that the views of Iran held by many well-informed Israelis in the military, defense and intelligence establishment are far more nuanced than Netanyahu’s harsh and histrionic opposition to any but the most maximalist “deal” with Iran would lead one to believe. Unfortunately these assessments seem to be unknown to members of Congress, as well as to spokespersons for “pro-Israel” organizations and think tanks who are determined to prevent any agreement with Iran or strangle it at its inception.